Thermally modified hardwood has great potential in both exterior and interior applications. Because the lumber has been physically modified – architects and designers must understand the different physical characteristics to use this innovative product in the proper applications. Specifications, installation, and maintenance are also different with thermally modified hardwood. Comprehend the basics of what thermally modified hardwood is and explain how it is different than other wood products. 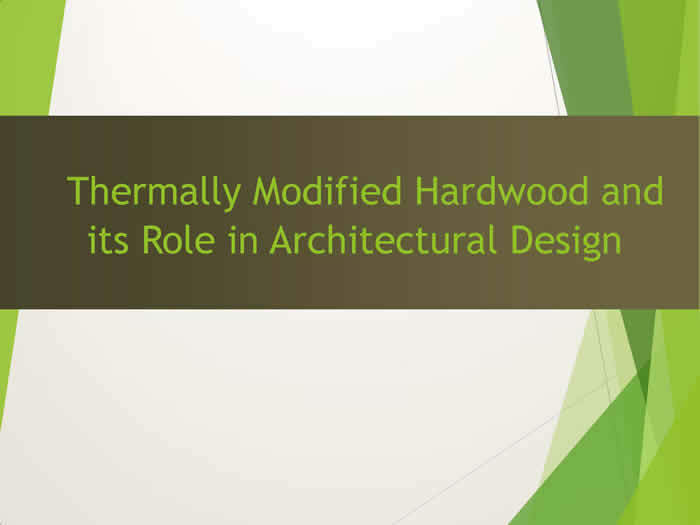 List physical characteristics and performance features of thermally modified hardwood. Recognize the proper design applications for thermally modified hardwood. Write accurate specifications for the installation and maintenance features of thermally modified hardwood. Understand the environmental advantages of thermally modified hardwood.